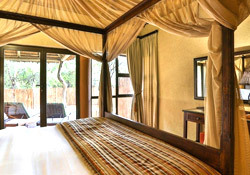 Experience Africa in a thrilling way without making a compromise with your comfort from one of Pilanesberg National Park’s top luxury accommodations. 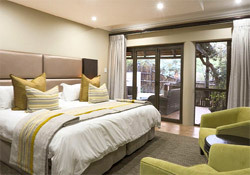 Nested inside the crater of an extinct volcano in the north-eastern part of the Pilanesberg Game Reserve, the Ivory Tree Game Lodge is equipped with every amenity needed to make your trip unforgettable. Take a dip in the plunge pool and enjoy the stunning African sunsets from your very own private patio, then walk around the lodge, following the ancient elephant trails surrounding the property. 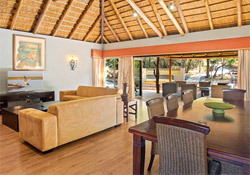 Then set off to explore the malaria-free Pilanesberg National Park for some thrilling big game or bird watching, or take part in some of the adventure-filled outdoors activities offered by the Ivory Tree Game Lodge, including archery, airgun, drumming and more. Children between the ages 6 – 12 years will pay 50% of the adultsharing rate. Children over 12 are charged as adults. Archery is one of the ancient activities that we offer using modern equipment including modern re-curve bows. The guide will brief you on how to use the equipment safely and share a story about the San hunters. Enjoy the opportunity to learn the technique of this challenging art form. Experience the satisfaction of shooting at a very small target using pellets. The guide will take you through a proper safety instruction on how to use the equipment. Drumming is a part of African culture that has been used for centuries as a form of expression and was also one of the ways in which communities communicated with each other. Come and feel the vibrations from head to toe. We need a minimum of five people for this experience and have the capacity to accommodate up to 120 people. 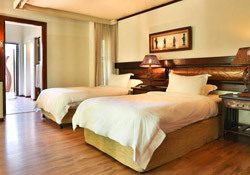 Accommodation, all meals, teas & snacks and two daily safari activities. 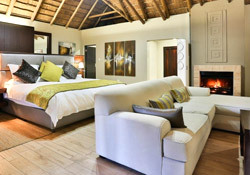 Luxury Suites: Maximum of 2 adults and 2 children under the age of 12. Children sharing with adults in Luxury suites will be charged 50% of the standard room sharing rate. Family Suites: Maximum of 2 adults and 2 children under the age of 12.